Ford Transit Courier is the smallest representative of the family commercial vehicle Ford Transit. Courier looks like a Ford Fiesta MK7. It is the ideal car for someone who needs a small commercial vehicle. The new model is sold in several body styles: DCIV M1, DCIV N1, Combi M1, Combi N1 and vans, despite its small size, the car is able to accommodate in the load space: pallet or objects with a length of up to 2.5m. Ford has a small motor unit served with a capacity of 1.0 EcoBoost engine (100hp) 1.5 SOHC DI Duratorq 1.5 and 1.6 Duratorq DI (95hp). 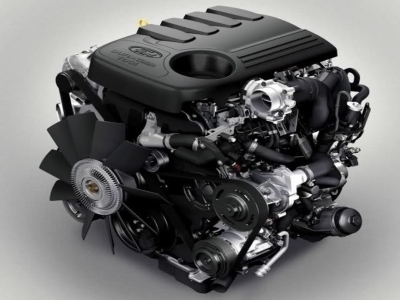 Diesel engine with 100hp is the latest achievement Ford engineers, is characterized by extremely high power for such a small capacity. And by reducing engine capacity also decreased its combustion. The manufacturer says that it could be up to 3.5L. From our experience we know that this is the result difficult to achieve, but not impossible. Transit Courier is equipped with front-wheel drive and system improve stability. In addition, the new model we also have the opportunity to choose the wall between bulkhead the cockpit and the cargo area. The standard offer is a metal wall Bulkhead with several brackets for mounting. For customers who need to see what is happening with their merchandise to choose from wall Bulkhead with window. But for people who carry it happens from time to time a little longer items ideal solution would be a wall made of the grille, which gives you the ability to open it from the passenger side, so as to extend the cargo area.